Fully equipped with everything you need to entertain. TV's in every bedroom and the living room. The property was welcoming and colourful. Very comfortable and reasonably equipped. Lots of pool-side seating and we really enjoyed being able to grill and eat our meals outside. The neighbourhood was quiet, but close to everything we needed. We really enjoyed the fishing trip with Pure Florida out of Tin City and the swamp boat ride at Everglade City. thankyou for your review and I'm glad that you enjoyed staying in our home. Pleas don't hesitate to call me when you are next thinking of vacationing in Naples. Found this little gem of a place by chance and so glad that we did. It was our first time in Naples and we fell in love with it. The villa was in a perfect location just as the owner had stated with everything close by. The property was spotless when we arrived with the added bonus of a heated pool. There is so much to do here but sadly we run out of time to do everything. Lovely beaches,great shopping and fantastic restaurants we were spoilt for choice so much more for us to explore. We enjoyed it so much we have already booked for next year. overall we had good experience during our stay. The house was clean but it had a musty smell to it. The interior of the house needs some maintenance work. The ceiling in the dining room area next to the air vent had some black texture which looks like mold? There were some ants in the master bedroom crawling on the bed cover. The two spare bedroom mattresses were very uncomfortable. I'm sorry to hear of these problems, we have never had any complaints before of the mattresses. I will be going over to stay on 15 June and will certainly buy new ones if they are as you say and will be doing the maintenance jobs. I will email you to ask your opinion of what you think needs doing. We pay a full time manager who should make sure that air vents etc are kept clean and the house should have been checked on the day of your arrival. Again if the management company are not doing their job I will look for another company. Good communication through whole of booking process. Villa was clean & tidy with everything available for vacation. Great to have a covered patio area, nice pool to cool off in. Great location for shops & restaurants and easy drive into Naples. thank you for your review and I'm very happy to hear that you enjoyed your stay in Westlake. Please don't hesitate to call me when you are planning your next trip. Gorgeous villa in a superb location. We stayed at Westlake in January and it was wonderful, the villa was modern but retained some lovely Naples charm. The location was brilliant, just a few minutes drive from 5th Avenue and the beach. It was especially nice to have just a 5 minute walk to top restaurants for breakfast or evening meal. Waterside shops are just across the road and so is a Publix supermarket, couldn't be better. The children loved the heated pool and the carpeted seating area in the lanai was really nice to walk on after a swim. We had many lovely evenings outside in the lanai with a nice bottle of wine! The villa had everything we needed, WIFI, full cable TV package with TV's in every room and DVD players for the kids. The villa was beautifully decorated throughout and we would recommend it to anyone. thank you for your review on Westlake, I'm really happy that you enjoyed your stay. Looking forward to hearing from you soon to book your next vacation. Had a fantastic holiday in this very nice house. The location of this property is on a nice clean collection of similar houses in the most convenient area I have been in Naples. Good for beach 10 mins max, supermarket and bars. Don't forget 'The Outback' for steaks. I happy to hear that you enjoyed your stay in our home and really appreciate your comments. Look forward to hearing from you soon regarding your next stay. 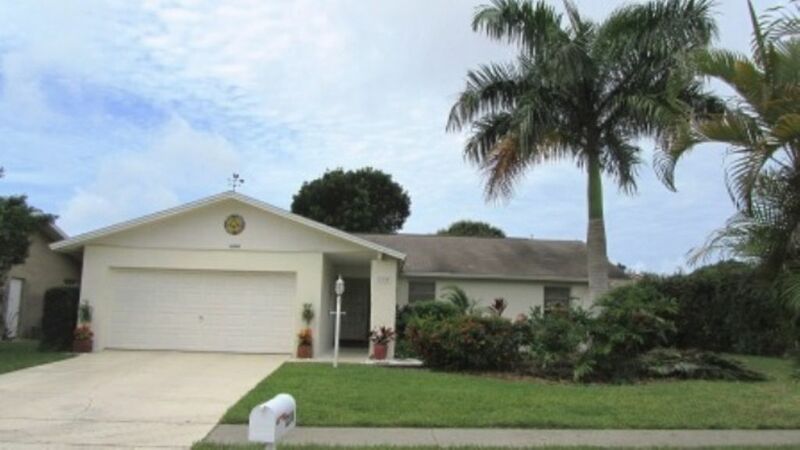 Westlake villa is on a quiet boulevard with no through traffic yet is only 200 yards from the Outback Steak House, Pelican Larry's famous Sports Bar and several other shops and restaurants located on the main route through Naples,Tamiami Trail. In particular it is within a few minutes walk to the very popular Waterside Shopping Center where there are further number of very popular and well known restaurants. It is also within walking distance of one of Naples favorite beaches although close by is a frequent and free shuttle service to the beach, making it even more ideal for the beach lover. Old Naples is less than 10 minutes drive as is Tin City, the Zoo and many other local attractions. In fact one can get away without car hire when staying here. We provide a comprehensive 4 page guide to Naples and the surrounding area which will keep the whole family interested and occupied. We also provide golfers with all year round details on how and where to play at discounted rates. $150 exit clean and $75 POOL HEATING(per week). Feb & March minimum rental is 1 month All bank Holidays and Thanks Giving are peak rates. 20% deposit is required at the time of booking and the balance is due 10 weeks prior to your arrival. Rates may vary depending on dates, length of booking and time of booking. They may also change without notice. it is always preferable to contact us for a definitive quote.